This striking antique Bakhtiari rug features an all-over pattern composed of extremely detailed directional weeping willow motifs set over an obscure midnight blue background. 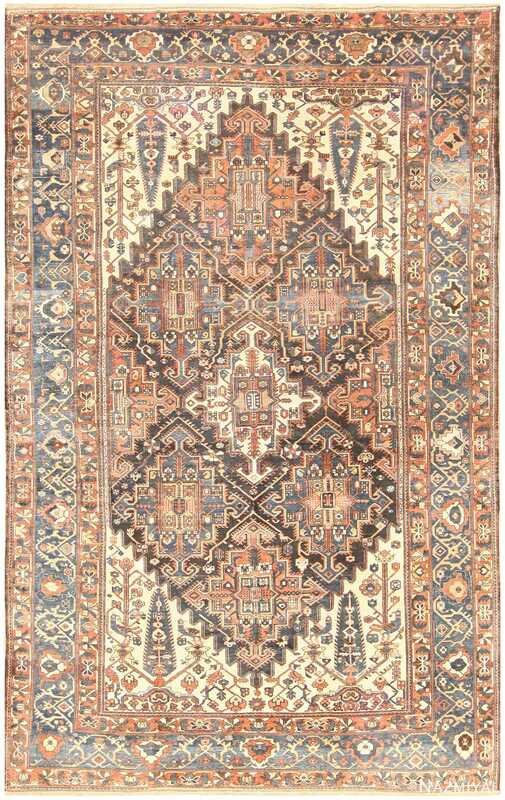 Tribal Antique Bakhtiari Persian Long Runner Rug, Country Of Origin: Persia, Circa Date: late 19th century – This here is such a magnificent antique Persian Bakhtiari rug that was originally hand made by the master rug makers of Persia. Woven in Persia, this antique Bakhtiari rug features a regal weeping willow pattern woven with an exceptional level of detail. Contrasting colors accented with detailed outlines highlight the branches, leaves and flowers.